Are You Drowning or Swimming? No, this isn’t about water safety. Most of us know the do’s and don’ts about being around the water. How to stay out of the deep end if you can’t swim; when to wear a life jacket; that you shouldn’t go in the ocean when there are rip tides, etc. But sometimes we can be drowning in our lives without even being near a body of water. And even the best swimmers can forget how to swim when that begins to happen. Life tosses a lot of things at us. Health issues, relationship issues, problems at work or difficulty finding or keeping a job. Financial issues, loneliness, legal problems…. And before you know it, you feel like you’re drowning. There’s too much swirling around you, knocking against you, pushing you under the waves of life until you don’t think you can breathe any more. You try to tread water while you cry out for help, waiting for someone to come along and save you from all of this; to give you a hand you can take and instantly pull you out of the maelstrom swirling around you, as all of your problems drop to the bottom of the ocean you’re in. And suddenly everything is perfect again. That would be nice, and in a perfect world, or the ending of a children’s movie, that would happen. And everyone would be living happily ever after. But in life there are no magic potions, no knights in shining armor, and no super heroes to suddenly appear and whisk you away from all the problems of your life and make them disappear. Because it’s up to you. Someone else cannot solve all of your problems. Others can certainly give advice, but you have to be sure the advice is from a trusted source, someone who’s giving you good advice rather than telling you what you want to hear. Someone who comes alongside of you and helps you swim, rather than pulling you out from drowning. Because when you’re constantly being rescued, you never learn how to swim on your own. Yes, that’s certainly easier. But life isn’t easy. And you don’t grow into the person you need to become if you’re always looking to be rescued from the things that come against you in life. Health problems don’t disappear overnight; you usually need a doctor’s care. Financial problems don’t disappear overnight either; not unless you win the lottery or inherit money from someone. And what are the chances of that? Unfortunately relationships don’t always work out, and when that happens, jumping immediately into another one isn’t the answer, and doesn’t make everything perfect again. Finding someone to be your “significant other” because you’re lonesome doesn’t mean all your problems will go away either. In fact, sometimes that causes even more problems. Treading water doesn’t work for long. It exhausts you and gets you nowhere. Treading water is only doing nothing, because you just don’t have the energy to do anything else. You have to start swimming. And if that’s not something you’re good at, you need to learn, and learn quickly. You may not be very good at it at first, but the more you do it, the better you become. Swimming is something that has to be learned, and some of us have an easier time than others. But it’s necessary in order to be able to function in our daily lives…both personally and professionally. The best way to learn to swim? Well, in most cases there’s no time for swimming lessons; you just have to jump in and do it. Take one issue at a time and swim into it. It may take some extra time, because you’ll most likely be fighting against the current, but eventually you’ll get the hang of it, and you’ll end up pushing that problem aside as you solve it, and taking on the next one. If you let all of the problems come at you at one time they’ll overwhelm you, and you’ll never be able to solve any of them. You’ll drown in the mixture as you try to solve everything at once. Remember, a successful swimmer requires skill, but also requires determination as well as concentration. 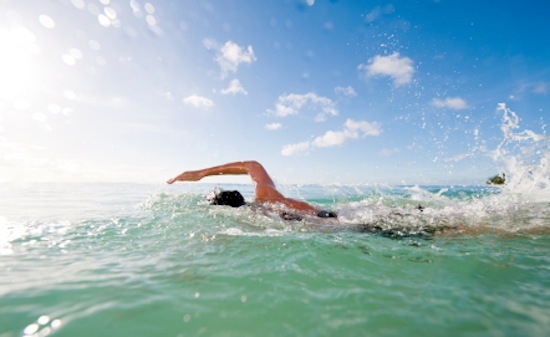 Concentrate on one thing at a time, and you’ll end up swimming like a champion. A successful swimmer also needs a coach, so you might want to look for someone who can act as your coach, a trusted friend who can advise you on what you should do. But coaches require you to listen to them, and take their coaching seriously. You have to be ready to do this, and do what they say. You’re the only one who can decide when you’re ready to start swimming instead of drowning in a sea of problems that threaten to overwhelm your entire life. You can do this. Truly you can. You can swim out of everything that’s overwhelming you. Just give yourself the chance. Dive in! The water’s great, and before you know it, you’ll be out of that sea of problems and into the clearest and most beautiful water you’ve ever seen!